It can improve the listening enjoyment of the Audeze headphones and it has lots of detail, great energy, a fantastic soundstage with lots of air. It is a great candidate for warmer sounding headphones. 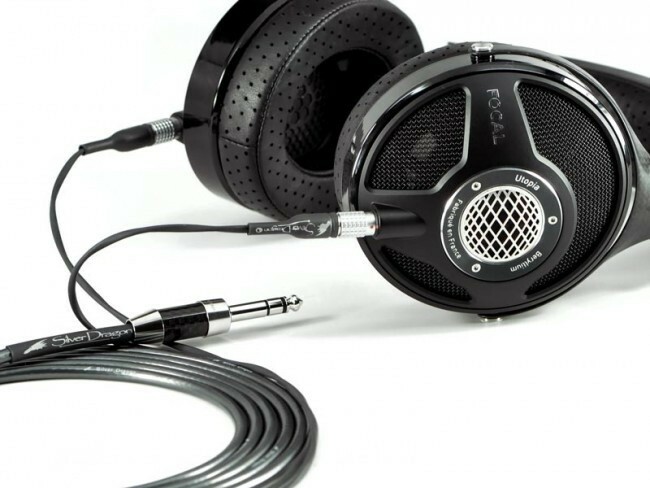 This Premium cable is excellent for the Audeze and Focal headphones and it includes premium Furutech Rhodium Connectors to enhance the look, feel and listening pleasure of all your hifi music sessions. Higher grade Silver Solder is used and all connectors are treated. The difference between the Standard Silver Dragon and the Premium Silver Dragon are the connectors used on each end and a harder to work with higher silver yield solder. The wire is identical. When you are trying to squeeze out every last percentage point of performance, the Premium version makes sense. The Furutech Top Line connectors are quite simply the best made. And every point of signal saturation will make a difference. Is there a night and day difference between the sound quality of the standard and premium? No. Is the Premium the best of the best? Yes. These cables are meant for the cream of the crop headphones where every little thing makes a difference in terms of bring you closer to audio nirvana. 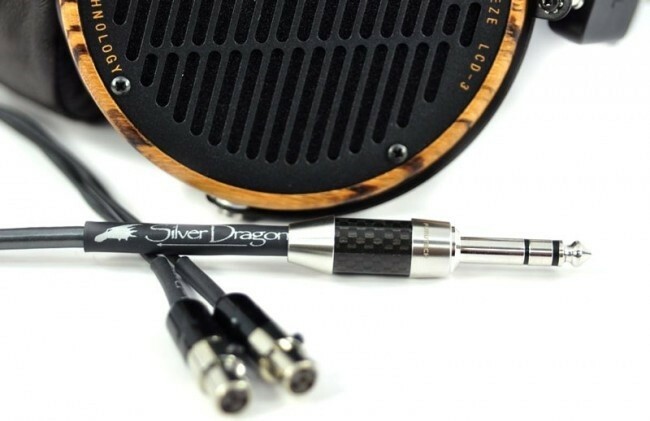 Moon Audio has improved the conductor properties on the Silver Dragon V3 Headphone Cable over the previous Version 2 as these conductors are free from impurities and have virtually no crystal boundaries. The conductors have almost no distortion compared to ordinary silver conductors. The previous version used 4 x 99.998% Ultra Pure Silver 24AWG Teflon insulated stranded conductors. Therefore, we have stepped up the purity to the purist available by today's technology. The Silver Dragon Headphone Cable Version 3 (V3) uses 4 x 99.99998% UP-OCC Stranded Silver 24AWG Teflon insulated stranded conductors. For the Silver Dragon V3 Premium version, we are using the Furutech FT-610 connector. Furutech’s beautifully finished, beautiful sounding CF-H800 connectors are the result of meticulous engineering and careful audition of various suitable materials. The FT-610 features an α (Alpha) phosphor bronze conductor and Nylon+Fiberglass 15% insulation for minimal impedance and a nonmagnetic stainless and carbon fiber finished main body and nonmagnetic stainless end ring for superior damping. The Pins are Nonmagnetic Rhodium-plated α (Alpha) Phosphor bronze conductors. The wire is soldered to the connector with high quality silver solder. The default 1/4" Plug is the new Furutech CF-763. Furutech’s beautifully finished, beautiful sounding CF-763 connectors are the result of meticulous engineering and careful audition of various suitable materials. The CF-763 features an Nonmagnetic Rhodium-plated α (Alpha) phosphor bronze conductor and Fluoropolymer insulation for minimal impedance and a nonmagnetic stainless and carbon fiber finished housing for superior damping. For XLR connections there are 2 choices. The FP-601M（R) XLR which uses a Beryllium copper and phosphor bronze α (Alpha) Conductor: the body is a Copper alloy with PVDF Fluoropolymer insulation. The second choice is the top of the line CF-601M（R）XLR which utilizes an α (Alpha) Beryllium copper and phosphor bronze Rhodium-plated Conductor with Carbon fiber and nonmagnetic stainless steel housing. The Body is PVDF Fluoropolymer insulation with a Specially designed cable strain relief.